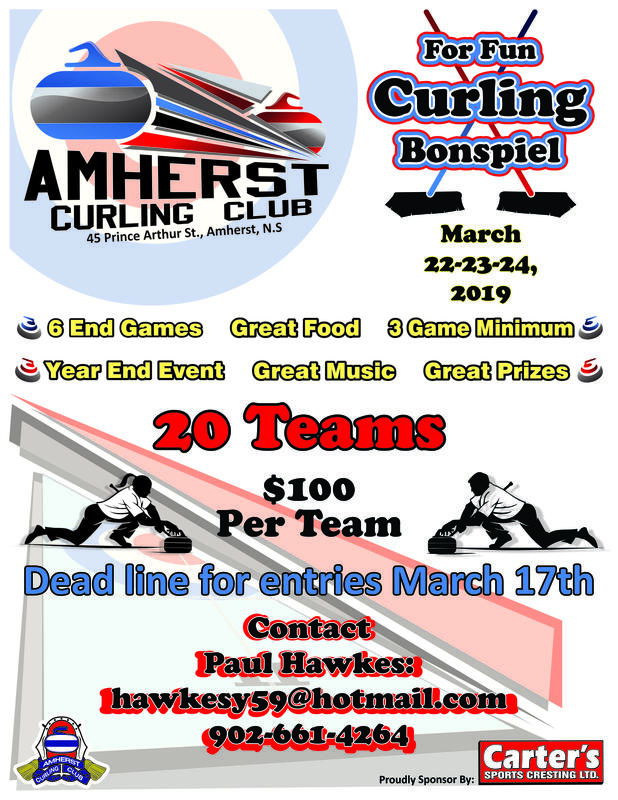 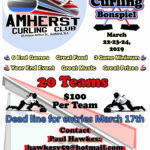 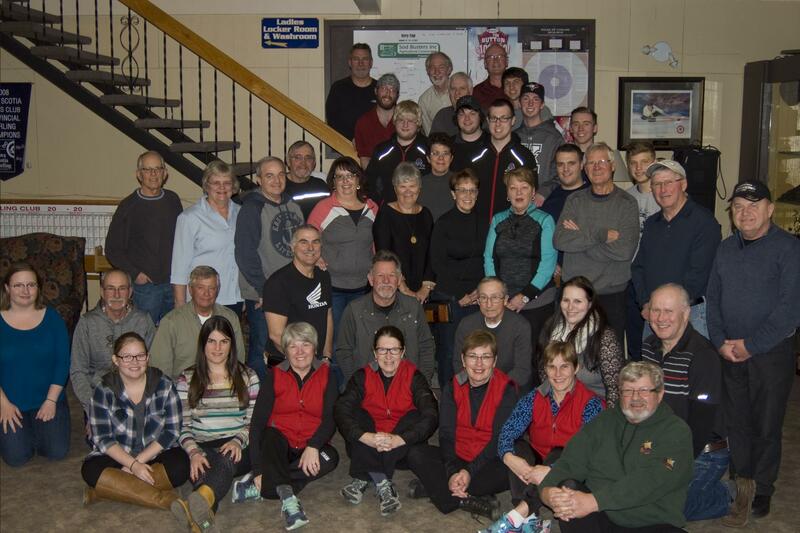 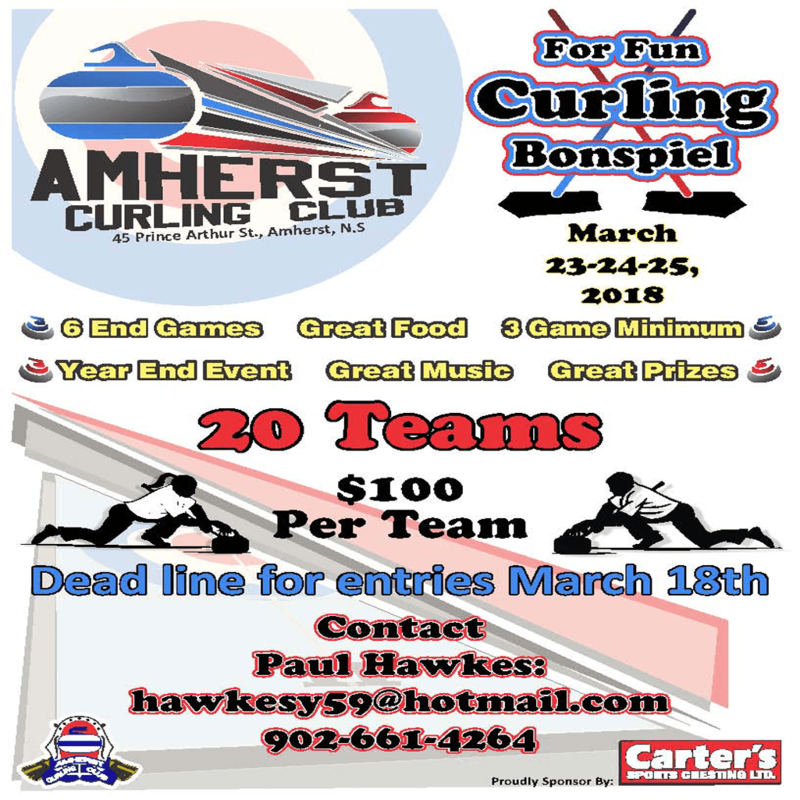 The annual Year-End Mixed Curling Funspiel, sponsored by Carter’s Sports Cresting, was held last weekend (March 22 and 23) here at the Amherst Curling Club. 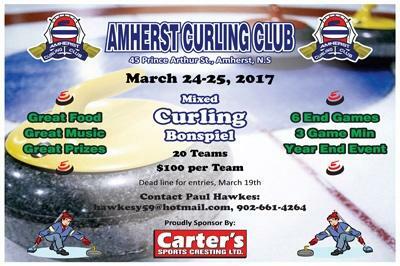 Twelve teams entered the draw this year with the Peter Rushton’s team defeating the Ray Fowler team in the Championship round. 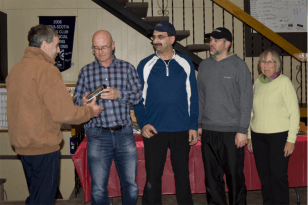 The A division winner was Dan Jolly over Ron Davis. 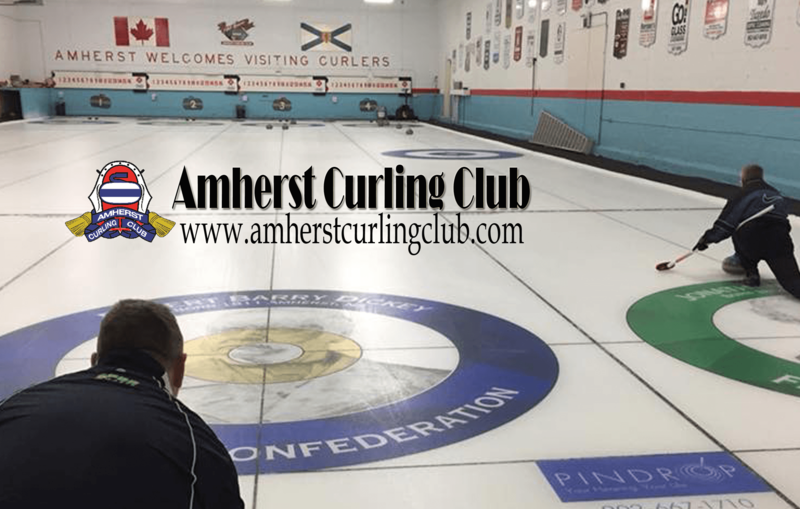 The B division winner was Paul Hawkes over Robin Keith. 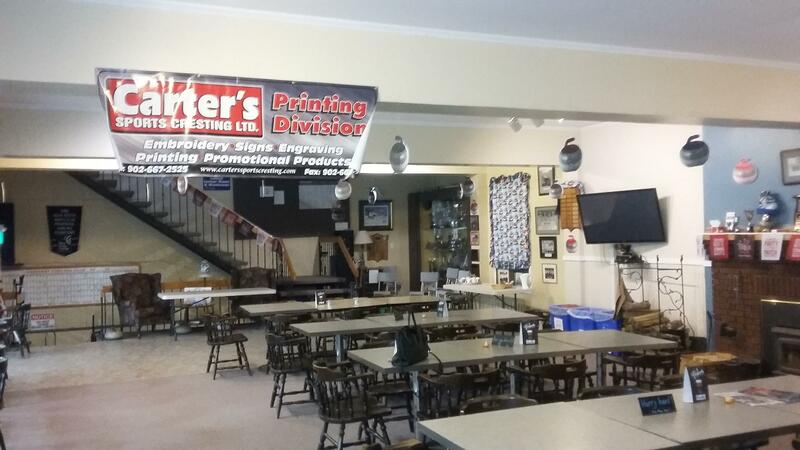 Many thanks goes out to the major sponsor Carter’s Sports Cresting for their continued support of our closing funspiel.